I recently moved into a new unit which is a considerably smaller space than my previous house. 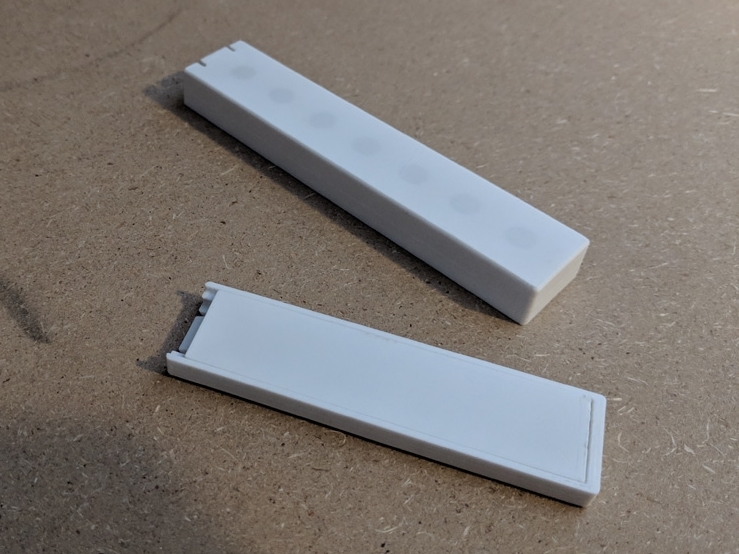 With a surplus of disc magnets from another project, I decided to design a magnetic knife holder that I could stick on to my splash back to get knives out of my drawer freeing up space. 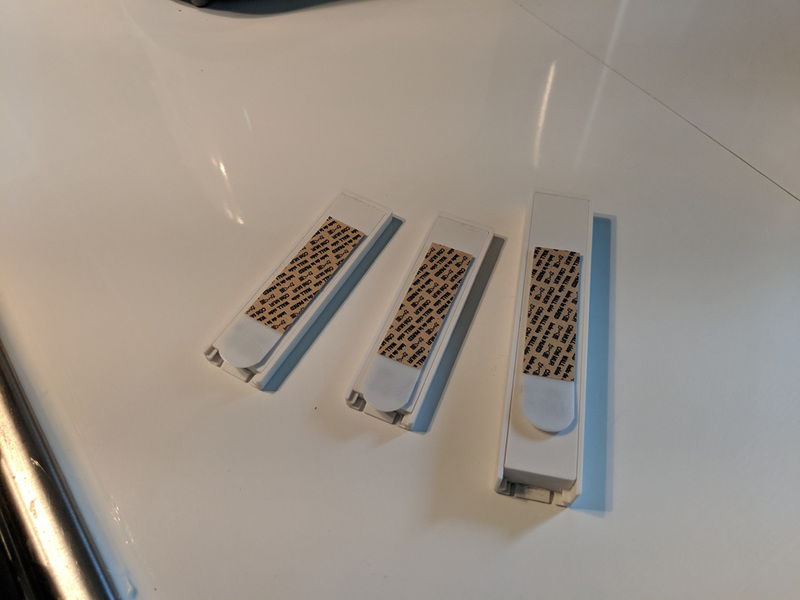 The result was a two part design consisting of a base piece with circular indents for the magnets and a cover which slides over the base, securing the magnets and locking into place with a snap fit mechanism at the end. With a little tolerance added, this design worked perfectly the first time around. The cover plate is thinned at the location of each magnet to minimise the reduction in magnet strength through the material. 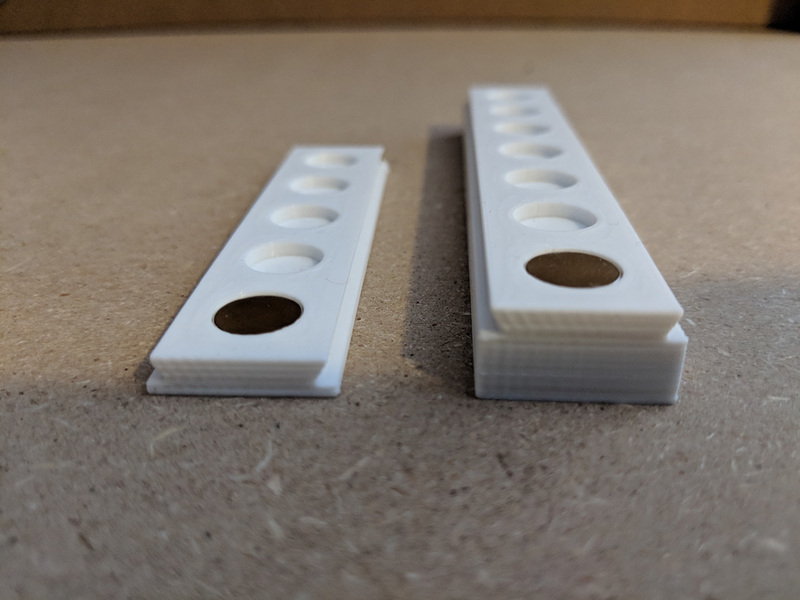 The orientation of print also allowed for a great surface finish as the outside of the cover is printed directly to the build plate for a smooth finish.